A Clueless Woman by T.B. Markinson is a fun romance with fantastic characters and plenty of steamy scenes. Lizzie Petrie is a socially inept character who prefers books to people and is often clueless when interacting with others. However, her social issues stem from previous relationships, and Markinson doesn’t shy away from illuminating the dark side of love, which gave the story additional depth and made the romance between Sarah and Lizzie even more enjoyable. Despite Lizzie’s cluelessness with others, she isn’t as clueless about herself, and that makes her a character that’s easy to identify with. A Clueless Woman does not shortchange on the steamy scenes either. The romance is hot! This is a wonderful romance novel with depth and humor, and I definitely recommend reading it. *Disclaimer: I received an ARC as a prize. It was not in exchange for a review. I’ve dreamed of him since before I was old enough to form memories. I’m as sure of this as I am of breathing. People say that I’m an artist, yet my mind is vacant, my hands unsteady. With his presence, he has unknowingly broken that something inside of me that makes me who I am, because being around him is like standing in a rainstorm. First the drops tickle my skin, and then they coat me, refusing to be ignored. Finally, it seems they soak into me, reaching parts of me I don’t think anyone has ever touched. I’m not certain how he’s capable of doing so—I’m not sure that he even realizes it. Sometimes I’m terrified that it’s apparent in my reactions: other times—I really hope that it is. I’ve been waiting for this. For him. But I never knew it would come with such a price. 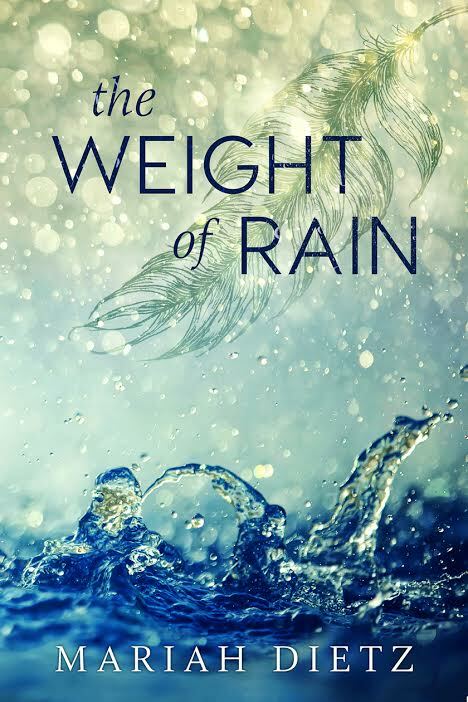 The Weight of Rain by Mariah Dietz is an engrossing romance with fantastic characters and a beautiful setting (although being an Oregonian, I might be a little biased about the setting!). Lauren and King share a night of passion that forges a connection between them that made me ache for the two of them to be together. The interactions between Lauren and King had me on an emotional rollercoaster, and I loved every minute of it. Lauren’s passion for her art made my own creative juices start to flow, and Lauren’s insight into what others are thinking or feeling based on her ability to read nuances of expression and body language were thought-provoking. I enjoyed that the other characters in the story were not just minor characters, but were people I grew attached to just as much as I did to Lauren and King. Lauren’s relationships with other characters, especially her relationship with Mercedes, enabled her growth as a person and endeared her even more to me. The Weight of Rain is full of emotions, rain, and wonderfully written characters, and I highly recommend reading it. 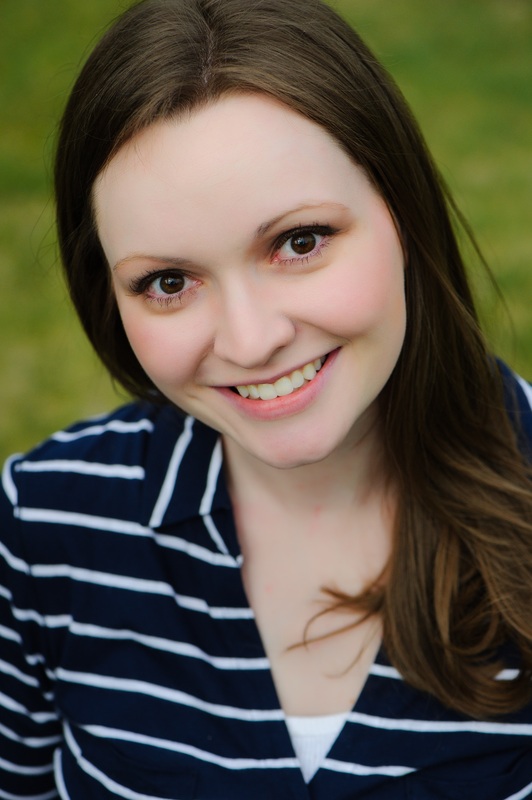 Exhausted, disillusioned and disgusted with her life in Los Angeles, Clarice “Rissa” Daniels leaves a successful acting career for the comforts of home in Olympia, Washington. 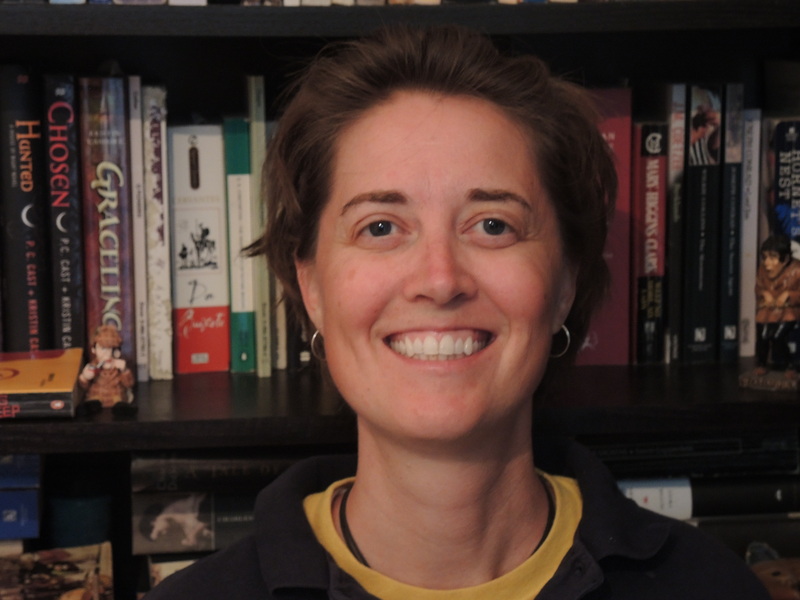 Embracing a simpler life without the overabundance of testosterone that she’d dealt with in California, she works to recover and rebuild her life without the “Hollywood craziness,” away from the toxic presence of her ex-boyfriend, and far from the paparazzi. When a walk in the park drops her into the lap of Spencer St. George, she finds herself drawn to his quiet, unobtrusive demeanor, but Rissa quickly realizes that there is much more to the bespectacled middle-school art teacher. 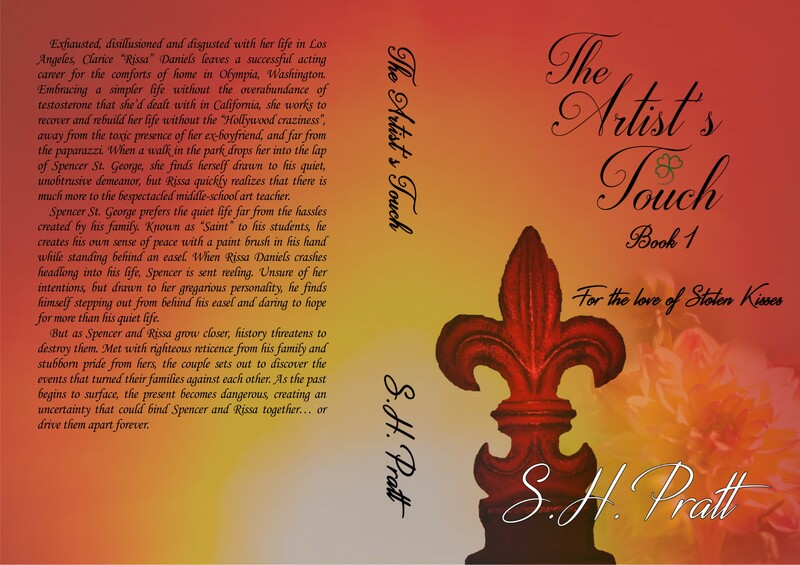 The Artist’s Touch by S.H. 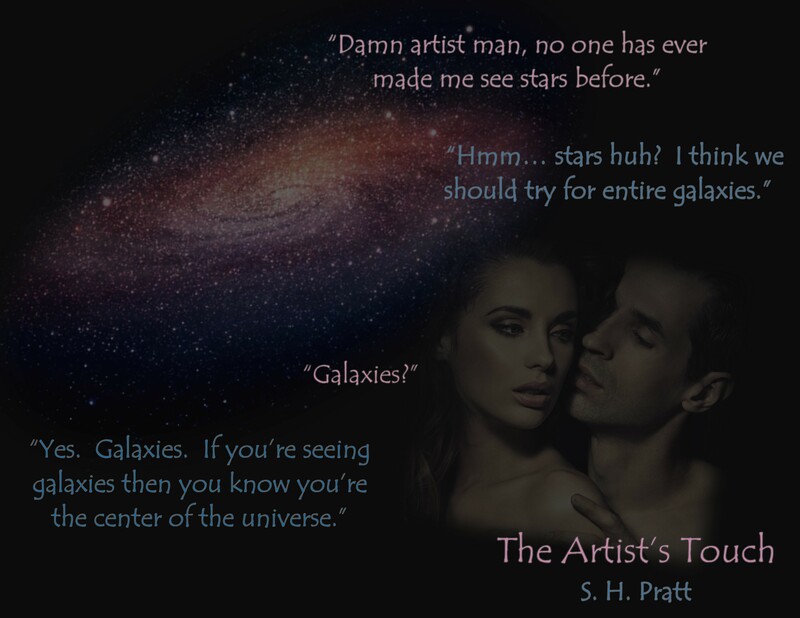 Pratt is a sizzling romance with a side of family secrets. Be warned though, this book does end on a cliffhanger, which has left me impatiently awaiting the second one! I absolutely loved the characters, the romance was hot, and the mystery of the families’ secrets kept me glued to the page to find out what had happened. Spencer is nothing short of a dream man to me. Nerdy yet confident, he is wary of women but sweet and caring nonetheless. He is the perfect blend of introvert and alpha male. 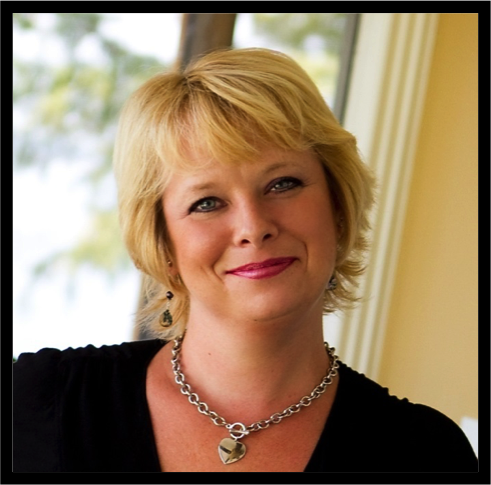 Rissa is a woman who knows what she wants and goes after it, which instantly endeared her to me. The banter between Spencer and Rissa had me laughing, and the love scenes had me fanning myself. The characters are fantastic, and the mystery added an element of suspense that made the book even more enjoyable. 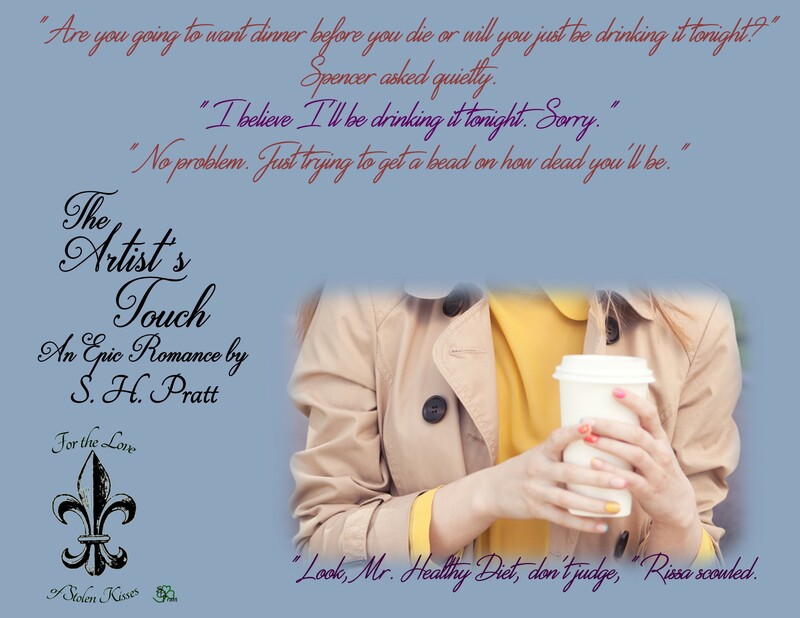 I definitely recommend reading The Artist’s Touch. Below Edinburgh Castle, Elizabeth Smyth and Reece Foxjohn turned into the corridor to the head demon hunter’s office. She had to keep her wits through one short meeting. “But that is not going to happen. We came to Edinburgh for a wedding, not a job evaluation. This meeting is just a formality because we are in town.” Shoulders straight, but not rigid, he held her gaze, his steady blue eyes perfectly framed by dark blond hair loose from its queue. “Maybe.” She fought the urge to grip her sword hilt through the pocket cut in her skirt. “Absolutely. Now take a breath and stop acting like a scullery maid. You are a demon hunter.” A grin spread across his angular face and he leaned against the wall. It sounded so wonderful coming from him. Reece held legendary status among The Company. Even during his long recuperation from a demon’s poison, students would sneak by his sickroom to catch a glimpse of him. She’d volunteered to carry his meals and pick up the trays just to get to know him. Still, she wasn’t sure she’d seen the real Reece in all that time. After pushing away from the wall, he walked around her and knocked. Drake Cullum occupied the lone chair in the book-lined room. He remained sitting when they entered, his eyes narrowed on an ornate knife resting atop the fine wood desk. Determined to be brave, Elizabeth straightened her spine and stepped closer. The memory of the dagger threw her back to a musty church. She saw the strange tri-bladed dagger gripped by a bull-faced demon. Her vision narrowed to the point of the blade as it descended toward her throat. Her heart stopped. “What is that doing here?” Part of her wanted to run, but rage kept her glued to the spot. “That’s the dagger they were going to kill me with. I’ll never forget it or the beast who wielded it.” The room closed in around her as the memories assailed her. Demons dragged her into the old church and strapped her to an altar. The stench of death filled the space. The durgot priest’s hot breath turned her stomach. His bull face only inches from hers with no way for her to run. Bindings cut into her wrists. The monster snorted long guttural words, and a chorus of demons repeated. She’d not known what his words meant, but they rang in her dreams every night. The dark metal dagger hovered above her throat. She was going to die by the hands of a devil. There would be no paradise for her soul. Damnation. Demons screamed in agony as their flesh boiled. Steel clashed with steel and a feminine battle cry. The building crashed around her and in her hazy mind, hell swallowed her. 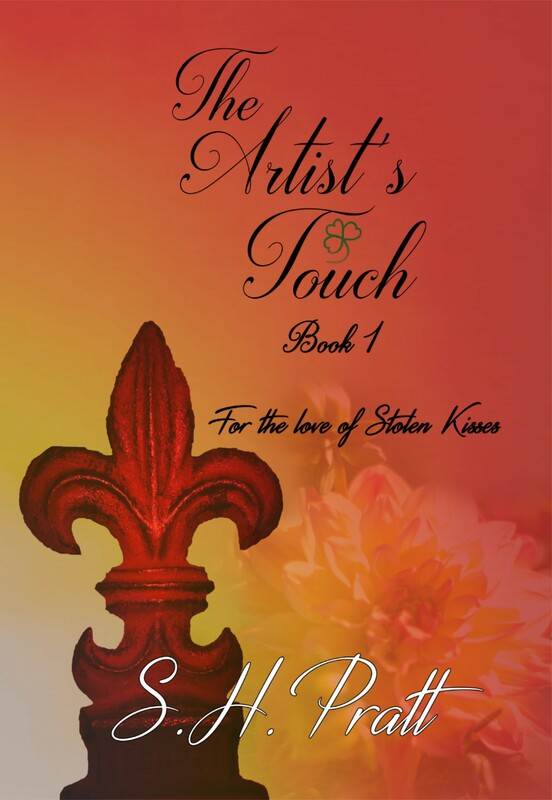 With his hand on her elbow, Reece steadied her. Her stomach knotted to the point of nausea, but it was only a knife, and there were no demons here. Besides, she could take care of herself now. No one would ever stuff her into a sack or drag her away again, at least not without a fight. Perspective helped to settle everything back into place. 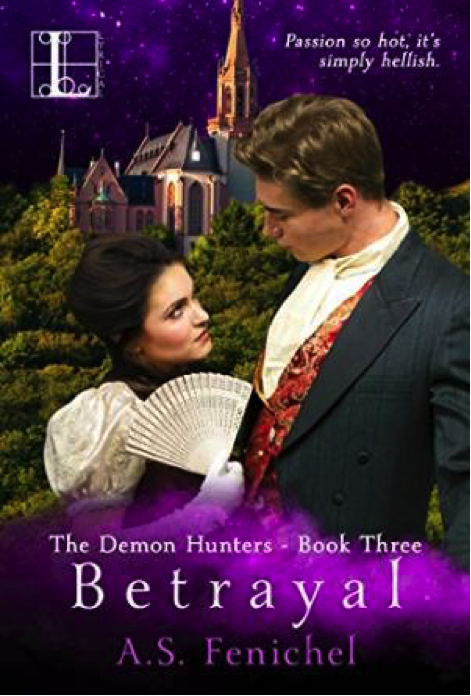 Betrayal by A.S. Fenichel is a demon-hunting romance that does not disappoint. The story mixes fantasy and historical romance; hot scenes, sweet romance, and demon hunting make this a book I didn’t want to put down. I had read the first two in the series (Ascension and Deception), so I was excited to learn what happened with Reece and Lizzy. (Although the books are a part of a series, they can be read as standalones. I read the second one first and had no trouble following the story.) Reece is a character I couldn’t help but adore. He is a genuinely caring person, which is evident in his defiance of social norms. Despite being a gentleman, he treats everyone, regardless of gender or station, with kindness. Reece is definitely swoon-worthy! Lizzy comes from lowly beginnings, which haunt her even after she becomes a demon hunter, but I love what an intelligent, caring woman she is. 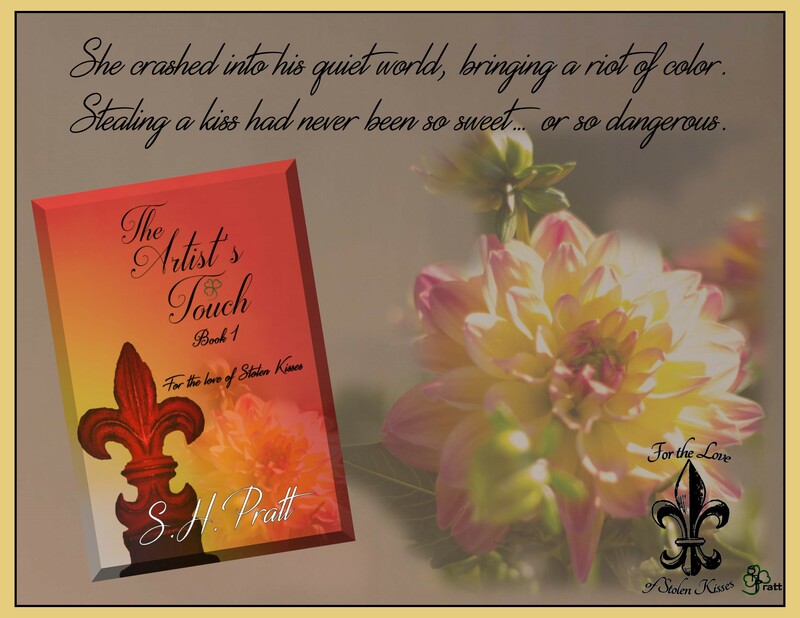 There was plenty of action and romance that kept me glued to my Kindle, and I highly recommend reading this book.